Live music is the pulse of Austin, Texas. Whether you’re here for work or or play, take a couple of hours to catch a live show while you’re enjoying a meal or a drink. Check out some events and shows this May during Latino Music Month, and enjoy música in the Live Music Capital of the World®! Mexican American Cultural Center. Courtesy of the City of Austin. Latino Artist Residency Program (LARP) artist Javier Jara provides Bilingual music lessons at the ESB-MACC every Monday through Thursday in May. Students will learn Latin American folk songs and rhythms to enhance their multicultural experience. If requested, instruction can be in Spanish exclusively or partially. In its 21st year, the festival will once again offer narrative and documentary feature and short films and videos made by or about Latinos in the U.S. or the rest of the world, as well as experimental, animation, and music video selections, in competitive and non-competitive sections. 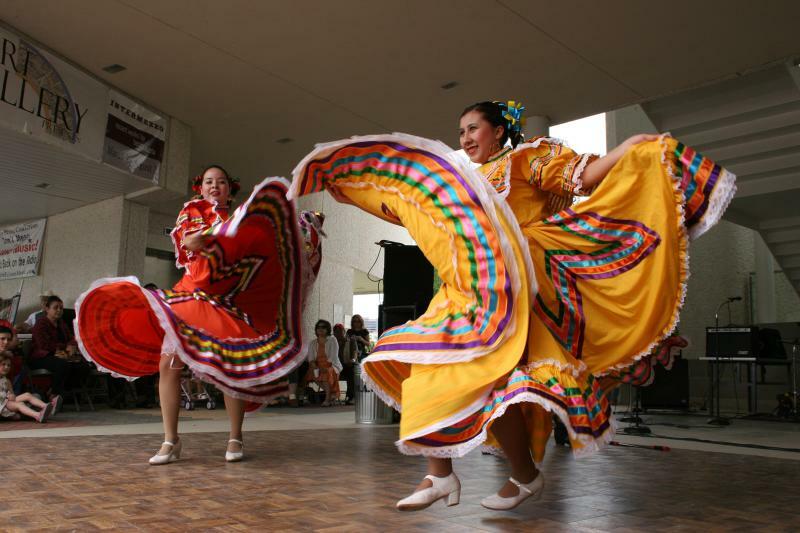 The Rancho Alegre Conjunto Festival returns to the Red River Cultural District this May for another great Cinco de Mayo celebration featuring food, local vendors and live music. Expect accordion music, dancing, and conjunto from more than two dozen groups, including Grammy Award-winning leged Flaco Jiminez and more. Now in its eighth year, the Austin Tejano Music Coalition begins their search for future Tejano Music stars nationwide at the Rancho Alegre Conjunto Festival with a showcase of past winners and auditions for this year&apos;s top talent. This will be a free, all ages event so bring a lawn chair and come hungry for some Stubb&apos;s barbecue and live conjunto music. Legendary Austin band Del Castillo is a cross-cultural power in music. Their original sound blends, rock, Latin, blues and world music. See them live on the iconic Antone&apos;s stage in downtown Austin on Cinco de Mayo. Watch Leti Garza, Vanessa Lively, Suzanne Choffel & more pay tribute to Violetta Parra, Mercedes Sosa, Lila Downs, Chavela Vargas, Lhasa de Sela, Celia Cruz, Gabi Moreno, Alayas Regina y más on Cinco de Mayo. This tribute to Latina women in music by four local Austin acts in the intimate Cactus Cafe is not to be missed! Mohawk presents Bidi Bidi Banda&apos;s Tribute to Selena on Cinco de Mayo. Bidi Bidi Banda is Austin&apos;s first all-star Selena Tribute, composed of members of local Latin bands. Enjoy Selena&apos;s greatest hits and dance the night away with the Queen of Tejano Music. 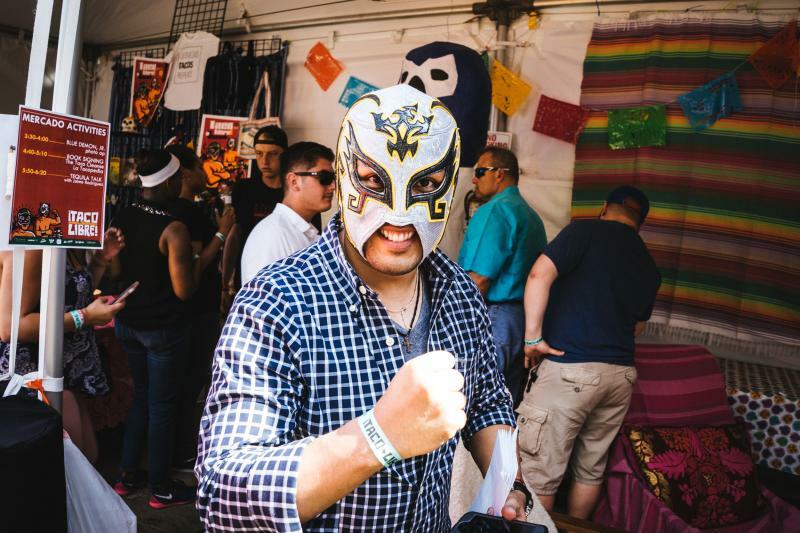 Taco Libre is a gathering of the region&apos;s best taquerias, served with a side of a lucha libre wrestling and music. But really, it&apos;s all about the tacos. Tacos will range from traditional to contemporary. Each taqueria will have a $2 taco and there will be plenty of veggie options. The family friendly festival takes place on May 12 at Republic Square in downtown Austin. Celebrate Roots & Rhythm Cultural Arts Program&apos;s 10-year anniversary with an interactive festival. The event is open to all ages and will feature Minor Mishap Marching Band, DJ Happy Happy James, extraordinary Hoola Hooper Ciara Blossom, Austin Bike Zoo, Circus Picnic stiltwalkers and more. Established in 2007, Peligrosa is a collective of DJs, producers, and visual artists re-energizing the sights and sounds of Latin America. Come celebrate Grammy-nominated El Dusty&apos;s album release with Peligrosa at The North Door. Join the Mexican-American Cultural Center in celebrating Brazil&apos;s lush harmonies, enchanting melodies, and infectious grooves. A string section (two violins and viola), percussionist and bassist will play versions of masterpieces by Chico Buarque, Vinicius de Moraes, Pixinguinha, Antônio Carlos Jobim, among many other genius musicians, lyricists and social commentators. For more events, explore our full Event Calendar and plan your next trip with the Ultimate Field Guide to the Corazón of Austin!